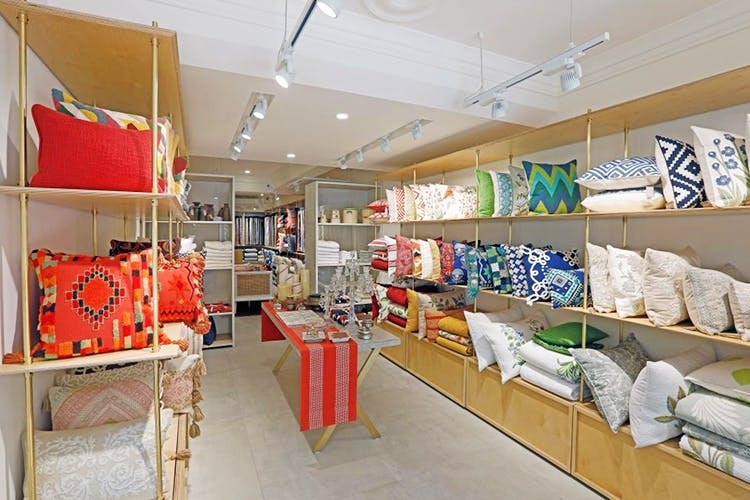 Bandra is a haven for home decor stores but there's one that's caught our attention more times than one – Sarita Handa which is chic, classy and gorgeous - so that you go broke buying all things good. Known for its A-class furniture and furnishings, Sarita Handa has been weaving magic since 1992. From furniture to bed and bath, the brand covers all grounds well when it comes to providing you with prints zany or subtle, intelligent design and value for money. We are in love with the label’s lounge chairs in bold prints that can quirk up a dull corner in seconds. Want a table lamp that will balance out the loudness of a room? Hit ’em up. Want a classy bed cover? Go to their store! If you love investing in good home decor, make no delays and head to their store to call dibs on the best pieces! They're known for their bed linen and not just that, they even have a great collection of rugs that are sure to blow your mind. Psst: We've just heard that they have a brand new collection that's in, so make hay while the sun shines, guys!